Ten tips for getting your kids hooked on books. 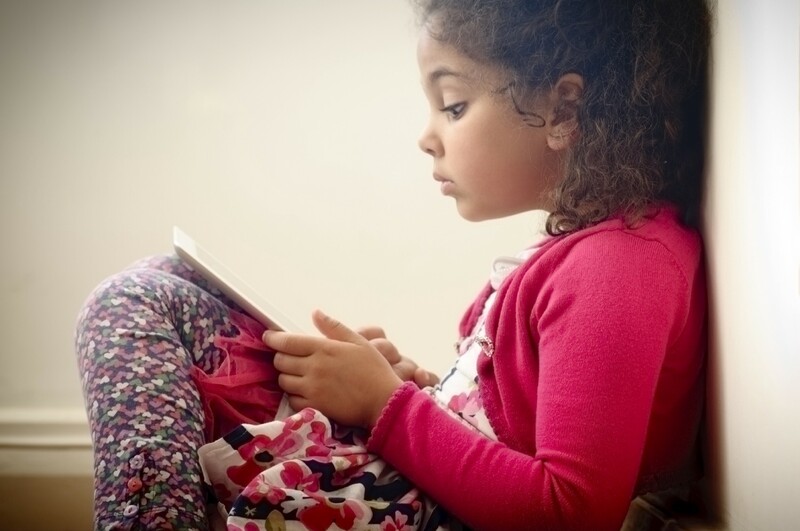 Ten tips for getting your kids hooked on books — ebooks or the paper kind. Kids become lifelong readers for all kinds of reasons. Sometimes there’s one key book that captures a kid’s imagination and opens him or her up to the exciting world of fiction. Other times, a teacher who assigns great books in class sparks a hunger for more big ideas and fine writing. In some cases, parents influence kids’ appreciation of books by sharing their own love of literature and modeling reader behavior — always having a book to read, taking books on vacation, reading before bedtime, making regular trips to the library and bookstore, etc. Read aloud: This comes naturally to lots of new parents, but it’s important to keep it up. Kids will enjoy it longer than you think. When reading to babies, toddlers, preschoolers, and kids in early grade school, it’s wonderful to have a kid on your lap, snuggled next to you on the couch, or drifting off to sleep in bed as you enjoy picture books together. You may have to read your kid’s favorite a hundred times, but just go with it. Your kid will remember the closeness as well as the story. And try nonfiction for those who are curious about pirates, Vikings, robots, castles, history, sports, biography, animals, whatever. For second through fifth graders, read those rich and meaty books that might be missed otherwise, maybe classics like Treasure Island or Alice’s Adventures in Wonderland. Many parents think that as soon as their kids learn to read on their own, they no longer need to be read to. But kids still love it and benefit from it as they hear the rhythm of the language, learn correct pronunciation, and get to relax and just take it all in. Kids will get the idea that there’s something worthwhile in books and that there’s something special about time spent with a parent. Savor the series: It’s common for kids to become book lovers for life after getting hooked on a series. And there are lots of good ones that keep kids hungry for the next installment. Some reliable prospects: Ivy and Bean, Judy Moody for beginning readers; Harry Potter, A Series of Unfortunate Events, and the Percy Jackson for middle graders; and The Hunger Games, Sisterhood of the Traveling Pants, and The Raven Cycle for older kids. Grab onto a genre: Kids go through phases of genres they’re passionate about, from girl detectives to science fiction and fantasy. Don’t get hung up on whether it’s considered great literature (although some genre books are). Be happy that your kid is devouring books one after the other. Feed the favorite-author addiction: Once your kids find a writer they love, they may want to read all of his or her books — a great excuse for a trip to the library or an opportunity for book swapping among friends and classmates. Here are some good bets for favorites. Younger kids: Dav Pilkey (The Adventures of Captain Underpants), Beverly Cleary (Beezus and Ramona). Middle grade: Kate DiCamillo (Because of Winn-Dixie), Neil Gaiman (The Graveyard Book). Tweens and teens: Judy Blume (Are You There God, It’s Me Margaret) and Sarah Dessen (Just Listen). Count on the classics: Books are called classics because they continue to engage readers generation after generation. There are no guarantees, but you could try introducing your kids to books you loved as a kid and see which ones click. Some good ones to try are the Dr. Seuss and Narnia books, Charlotte’s Web, and The Secret Garden. Check out our Classic Books for Kids list to find more. Find books about the things your kid loves: If your kid adores horses, try Black Beauty or any of the titles on our list of best Horse Books. If he’s wild about cars, trucks and trains, check out our list of Vehicle Books. Librarians, booksellers, and Internet searches will help you find books on any favorite topic. Funny is fine: Some parents wrestle with letting their kids read Captain Underpants, Diary of a Wimpy Kid, and other edgy humor books about kids getting in trouble. Talk to your kids about the content, but keep in mind that kids like these books not because they want to imitate the characters’ actions but because they can live vicariously through their bad behavior. Humor is a great pathway to book loving. Comics are OK: Graphic novels are among the hottest trends in children’s publishing, and they can get kids hooked on reading. Kids may start with Squish and Babymouse and move on to Diary of a Wimpy Kid. But these series can also lead to more sophisticated fare such as El Deafo, Boxers and Saints, and This One Summer. Find other titles in our list of best Graphic Novels. Fit reading into your family lifestyle. Set aside time for reading only — turning off the TV, computer, and cell phone. Encourage focused reading time, either for independent reading or reading aloud. Take preschoolers to story time hours at libraries and bookstores. For older kids, a parent-kid book club can be fun. Read to kids at bedtime. Provide time and space for your kids to read for pleasure in the car (if they don’t get car sick! ), on vacation, after homework is done, on their own before bed. Warning: It could be habit-forming!